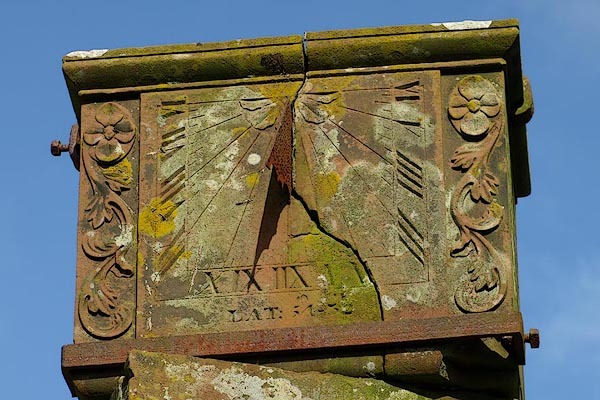 The sundial is a south facing vertical dial for latitude 54d 30m (?). Gilcrux is about 54d 43.6m N; the dial is out of its planned place, perhaps moved, which might also explain why it has had to be set at an angle here. I notice that there was a William Parsable, incumbent at Borrowdale church, 1806-39; and Borrowdale is 54d 31m N.